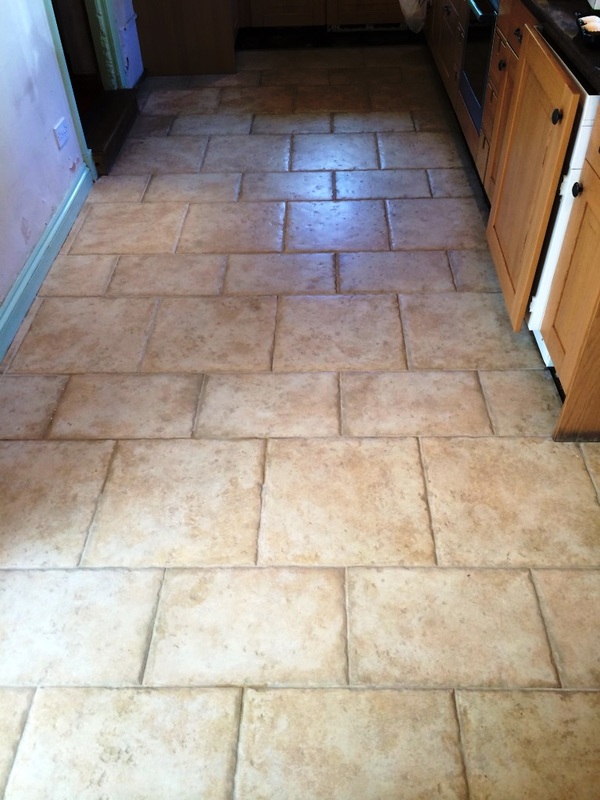 The owner of this Porcelain tiled floor installed in a house in Salisbury had contacted us to look at the grout lines which had become very dark with ingrained dirt and also the textured parts of the tile which had trapped dirt and become difficult to clean effectively. We popped round to take a look and ran a small cleaning demonstration which was very successful and so they quickly booked us to complete the work. 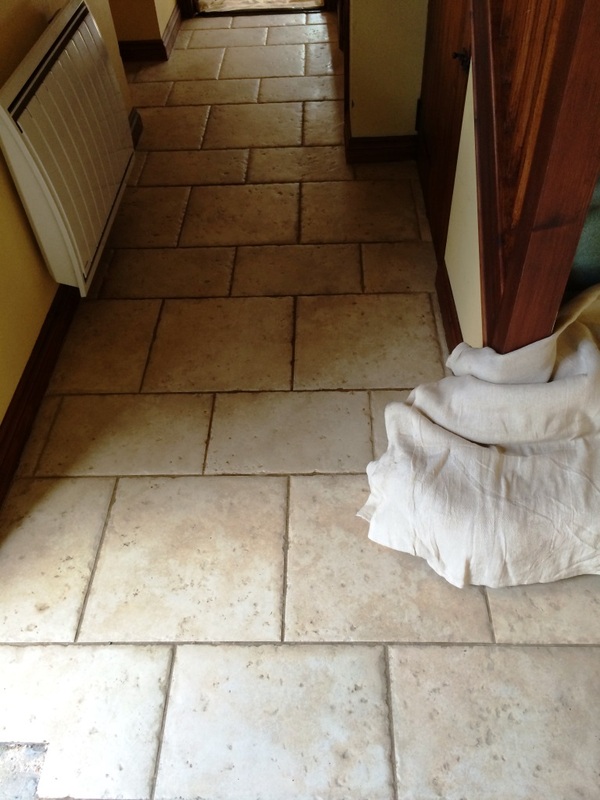 Textured Ceramic and Porcelain tiles tend to have a rough surface which does give them more grip but it also means there are more places for dirt to become trapped, also many don’t realise but the cementitious nature of grout means the very top layer is slightly porous and also able to trap dirt. We started by mixing a strong solution of Pro-Clean and NanoTech Ultra Clean and left to dwell for 10 minutes to allow the mixture to penetrate the build-up of ingrained dirt and grime. 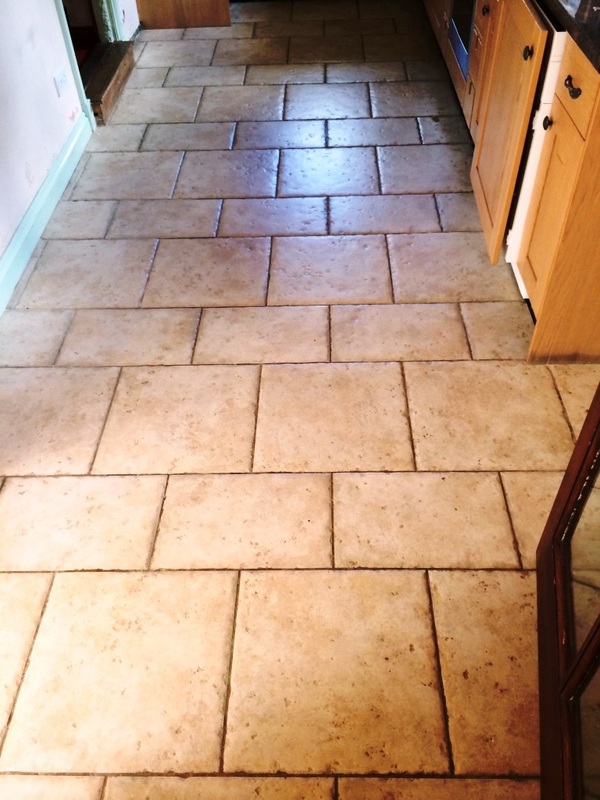 Then using a stiff grout brush we scrubbed each and every grout line to remove all traces of dirt and residue. Next we attached a stiff poly brush to our rotary machine and covered the whole floor making sure that we scrubbed each tile at least four times to make sure we removed as much dirt and grime as possible. We then rinsed the floor several times using clean water and removing slurry with wet vacuum making sure that all product had been removed. 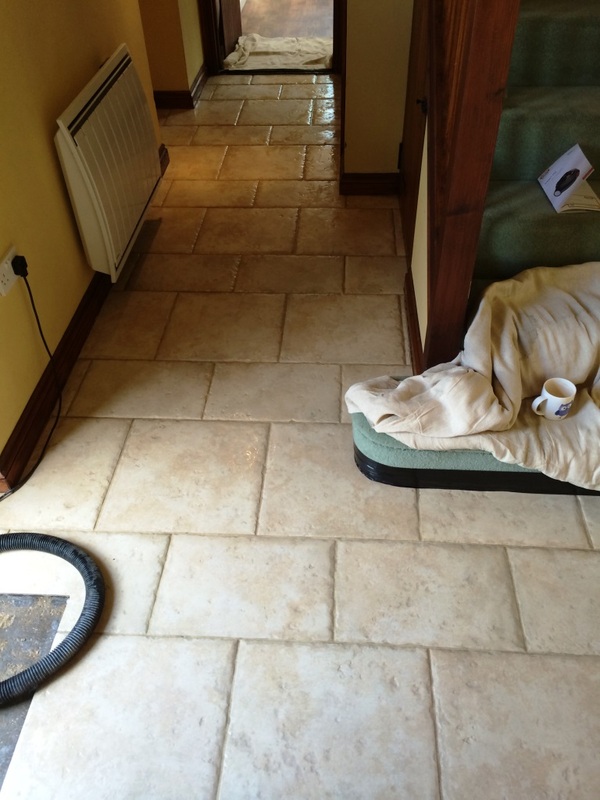 The tile and grout now look much cleaner and hopefully you can appreciate the difference in the photographs above.